Modern medicine is increasingly using the achievements of biotechnology and cell biology to achieve not only longer life expectancy, but also a better quality of life. However, there is a long way to go from the success of fundamental science, in particular, experimental oncology and oncoimmunology, to clinical practice. Many Russian families faced with a terrible diagnosis of cancer refuse to perceive it as a death sentence and are looking for accessible research advancements, modern high-quality care and treatment. Immunotherapy is one of the promising modalities for cancer treatment. It is based on the fact that our own immune system has the ability to prevent the development of cancer. When this immunity is weakened, the anti-tumor control may be impaired. Therefore, the goal of immunotherapy is to use human immune cells to destroy tumor cells. However, activating or reactivating the suppressed antitumor immunity generally requires extensive and expensive high-tech cell manipulations. Cellular immunotherapy, including the FDA-approved CAR-T cell drugs, immune checkpoint inhibitors and cytokine therapy, are the most advanced approaches for cancer treatment. CAR-T cell therapy is one of the most promising breakthroughs. Its principle is simple: T cells can be isolated from human blood, multiplied and genetically modified to recognize the tumor, and thereafter they can be infused into the patient’s blood in the form of a biomedical cell product. This treatment helps the immune system selectively find and destroy tumor cells. 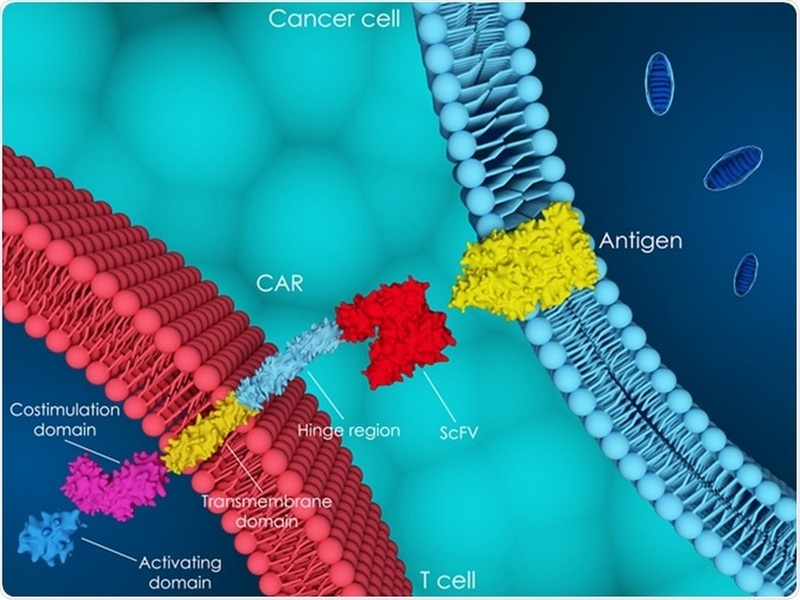 Since the end of 2014, Alexey Petukhov, researcher at Almazov Centre, and his colleagues have been successfully carrying out laboratory preparation and testing of genetically modified anticancer human T-cells (CAR-T). The work is both within the fundamental research domain and in the practical domain and is aimed at developing an affordable and accessible CAR-T cell drug. The main goal of the young scientists at Almazov Centre is to make a shift from words to actions and make the developments accessible for cancer patients. 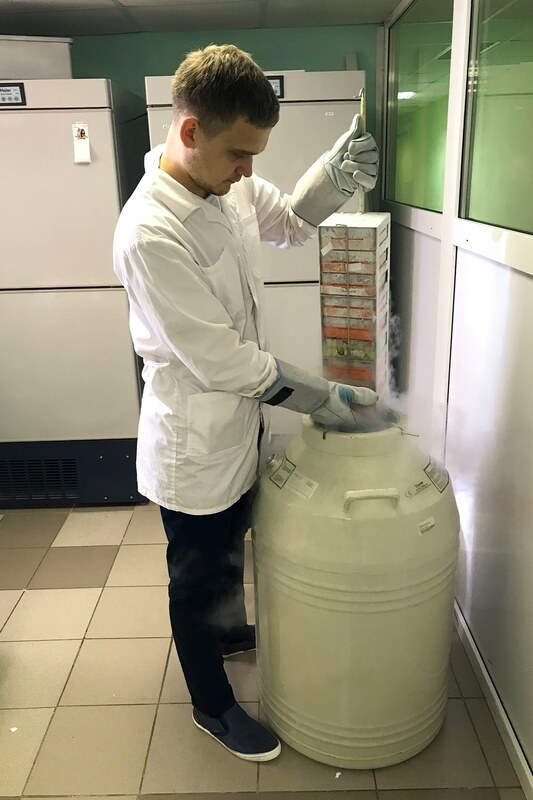 The specialists of Almazov Centre in St. Petersburg work in several areas in the field of CAR-T: experimental GMP manufacturing process and its own patent portfolio; new options of CAR-T cells; CAR-T cells for solid tumors; allogeneic CAR-T cells; reducing the cost of CAR-T cell therapy and creating CAR-T cell therapy to treat non-cancerous diseases; developing the technology for CAR-T cell manufacture without ex vivo cultivation; the use of genetic editing for cancer treatment; conducting basic research. Achieving the most complete implementation for these areas and improving the accessibility of high-tech medicine for cancer patients in the country are only possible by the concerted effort of various specialists: doctors, biologists, engineers, biotechnologists, geneticists, and bioinformatists. This can be done within adequately funded genomic centres of global importance. A number of such centres will be established in Russia as part of Science national project and the Federal Programme for the Development of Genetic Technologies for 2019–2027. Almazov Centre is preparing to become a basis for creating and developing such centre jointly with its partners in the “Translational medicine” consortium. 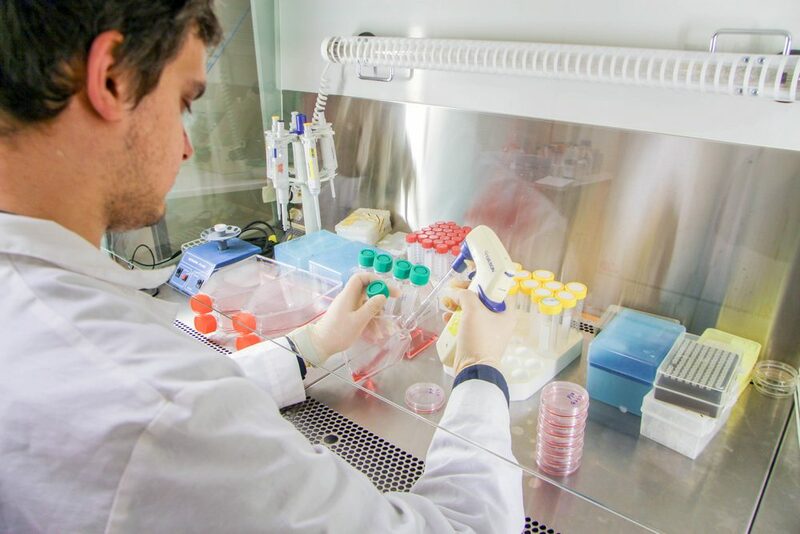 For successful implementation of the projects, apart from scientific research, the specialists of Almazov Centre focus on the process for manufacturing the components of a CAR-T cell drug, including vectors for genetic modification of T cells that are currently the most expensive and difficult to obtain component. The unique features of the Centre are the direct communication between doctors and scientists, a clear understanding of certain steps in research, focus on the patient’s needs. The global status of a clinical and research facility will contribute to further development of CAR-T cell technology, its wide availability and practical applicability.